Christmas is just around the corner and I don’t know about you, but I’m no where NEAR done shopping! This year, I plan to whole-heartedly embrace the “shop local” ideal by purchasing gifts that celebrate St Croix and support local business. If you’re not here on St Croix, but still want to give the gift of the islands, here’s a few of my favorite things with links for online shopping! This beautiful book is so much more than a cookbook! Yes, it features incredible recipes from known celebrity Chefs like Govind Armstrong, Kevin Rathbun & Ana Sortun who competed on Bravo’s Top Chef Masters, it also features recipes & cocktails by local St Croix favorites – many of whom I’m lucky enough to call friend. I absolutely love flipping through the pages and seeing so many familiar faces! This book covers all the bases with incredible photography, a gorgeous layout and beautifully written pages on St Croix’s history & culture by Steve Bennett of Uncommon Caribbean (one of my absolute favorite blogs). A feast for all the senses and the perfect holiday gift! I think my family probably has more pieces of ib than I do! It’s always a hit for gift-giving and I love the compliments I get when wearing mine. You may have even spied country star Kenny Chesney wearing a “J” hook (hand-crafted by Whealan Massicott, owner and artisan) that celebrate’s Kenny’s love for St John. It was featured in People Magazine a few year’s back as one of Kenny’s favorite things! But, we are lucky to have Whealan, Kris and their store right here on St Croix. 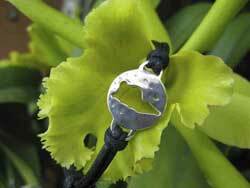 Each piece is inspired by the natural surroundings of the island and the island spirit. My favorite designs include the “wave” and “karma”, but the St Croix island cut bracelet is also a big holiday hit and a great way to carry St Croix with you wherever you go. If you’re on St Croix, you can find a huge selection of their Chaney Jewelry (shards of colorful old china pieces) at Franklin’s on the Waterfront next to Polly’s at the Pier. I like to think of Chaney as wearable candy, but its oh-so-much-better than those old candy necklaces! I have a confession. I’m in love with the Butterfly Effect earrings but don’t have a pair. They are on my Christmas List and I’ve been a good girl this year, so I’m hoping Santa comes through for me. Crucian Gold is another St Croix favorite and you’ll see a lot of ladies (and men) adorned with their pieces. It’s a small, family business run by jeweler Brian Bishop and his sons Ben and Nathan who now create many of their designs. This past summer, Crucian Gold sent Miss Universe Virgin Islands contestant Alexandrya Evans to Brazil with Moko Jumbie pendants as a gift for all of the contestants. Way to spread the St Croix love! Crucian Gold is home to the original “Crucian Knot” – check out their collection! 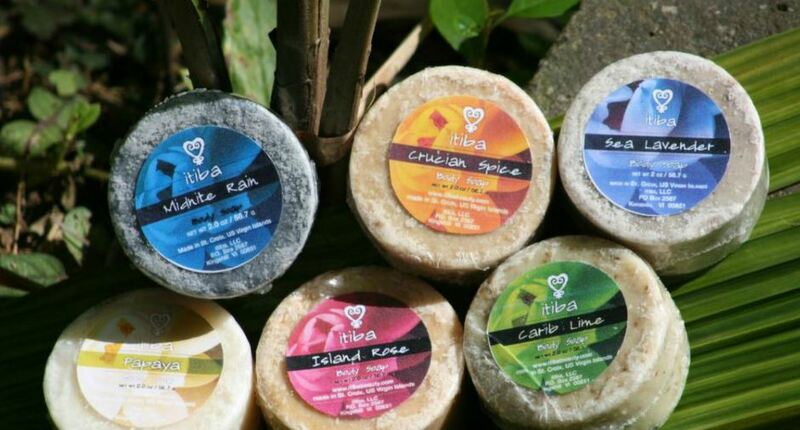 Itaba natural soaps and lotions are simply decadent. Products are made using all natural ingredients with careful attention to being kind and gentle to the skin (owner Yoki Hanley started her endeavor when her own daughter’s skin sensitivities became a challenge). My favorite scent is the Midnite Rain which is soft and natural and reminiscent of a light romantic rain. Itiba soaps and lotions have been a featured product in gift bags at the 2010 Academy Awards and 2011 Grammy Awards among other high profile events. But don’t worry, the products are still affordable. So get some St Croix-style to put in your favorite celebrity’s stocking!